Take water and sugar in a saucepan and allow it to boil until it reaches 1 string consistency. Remove from fire and add butter to it. Once it melts down, add the milk powder, cocoa powder and vanilla essence. Mix really well until everything blends. Allow it to cool down for few minutes. Grease your hands slightly with butter. Pinch small portions of the chocolate and roll them into balls. This quantity would make around 35 small chocolate balls. Anyways it depends on the size and shape you make. You can also roll a ball, press it flat and place raisins, almond or pistachio in the center and roll it again to make nutty chocolates. Roll chocolate balls and dip them in almond powder and coat it well. 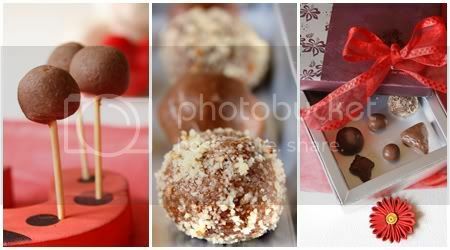 Make chocolate balls and roll them on cocoa powder or sugar powder. 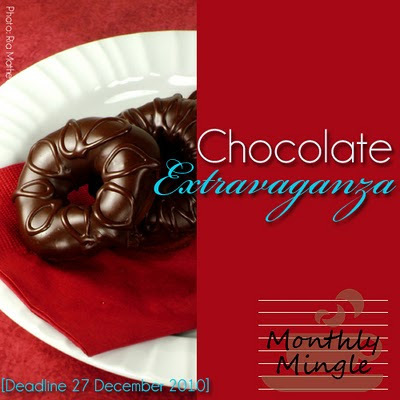 and also sending it to Chocolate Extravaganza - Monthly Mingle hosted by Ria. 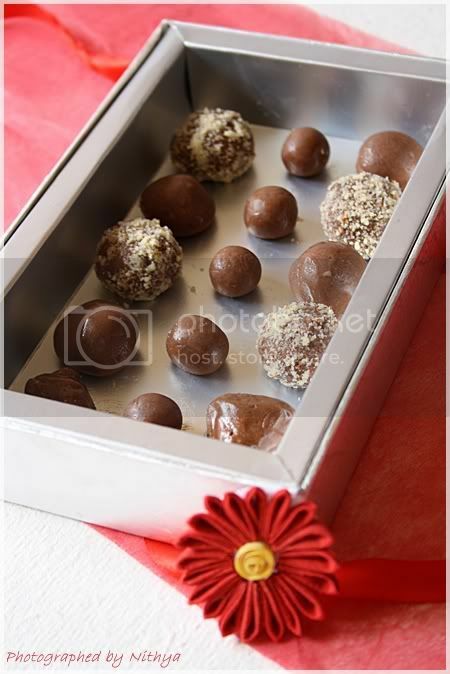 I just got a tin of condensed milk to make homemade chocs and here u r with ur lovely treat...Yummy chocolates..luved the variations as well. Looks so lovely, Nits.....it'd make a great gift. wow...yummy chocolates ...and awesome presentation and wonderful capture as usual nithi...u always rock! 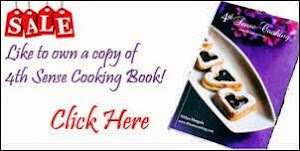 beautifully pictures and a lovely recipe.Perfect for the season. awesome...that is great way to bring happiness to the dear ones. Easy and looks so chocolaty. 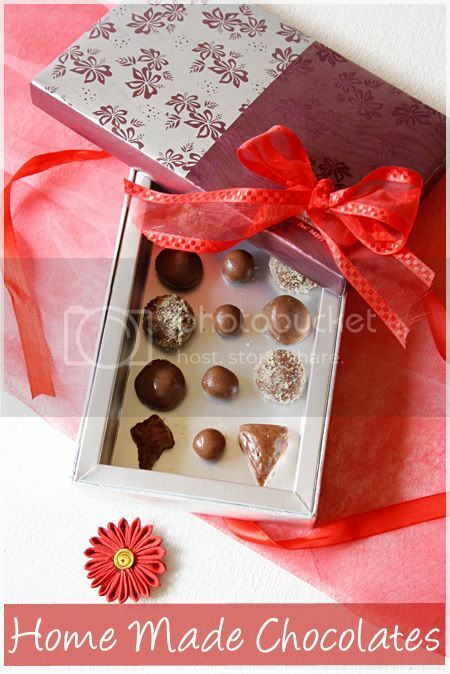 Wat a yummy home made chocolates, sooo tempting..
wow. cool and wonderful clicks. What else I can say!! Chocolate is my weakness and these home made chocolates look awesome. 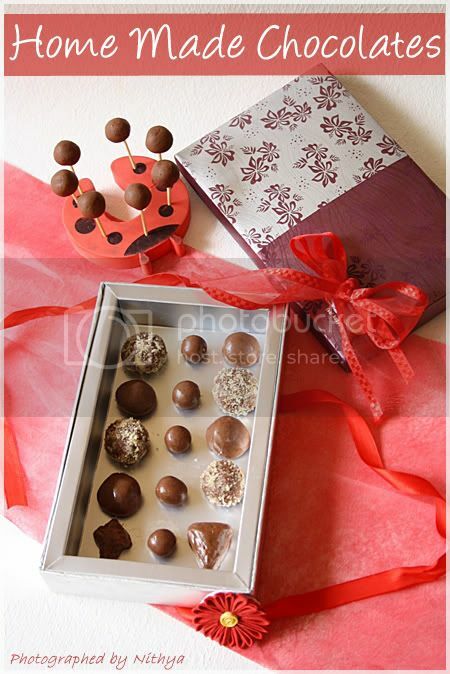 Wow home made chocolates looks super yummy..Loved it. Home made chocolate looks delicious. wow, I am hoping to have that packet in the mail to my address right now. Too yummy! Nice pics! Its dragging me into the pic! Good job nithi! LOVELY NITHYA .. this looks tempting .. so many choclate recipes coming around .. you just cant resist ! Chocolate is my weakness, n among the different kinds of chocolate the sound of truffles just drives me crazy..love your presentation! 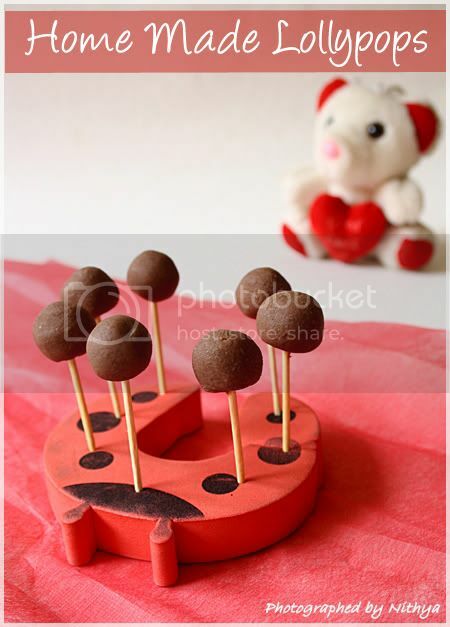 Theres always something so special abt homemade chocolates.Lovely. Nithya, there is an award waiting for you at my blog. Please accept. The chocolates looks very tempting ! Love ur clicks and presentation ! Quick and easy ,love your presentation !! Tried them yesterday.. They came out perfect . Added chopped hazlnuts to the chocolate batter and covered it with dessicated coconut.. 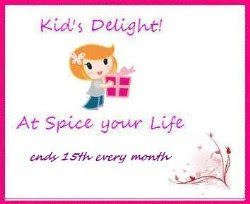 It is a very hassle free recipe with ingredients readily available. I will surely make them again . Thanks for the recipe! How much cup is 200gms of milk powder? Thanks for the simple recipe, by the way! are u not missing anything?? which binds the chocolates?? like Liquid Glucose ! how can it be so hard without it?? did u miss it to say??? Sorry to post again :) is it the normal butter / unsalted butter??? or anything will do??? thanks alot for such a simple recipe. but the chocolate doesn't seem to get hard enough even after refrigerating, what can i do?? ?